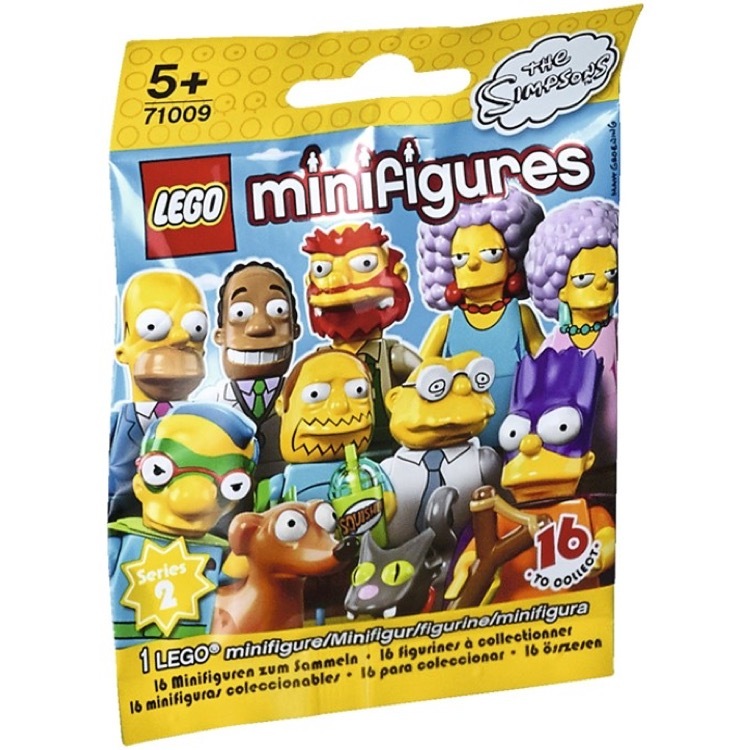 This is a BRAND NEW foil bag of LEGO® Collectible MinifiguresÂ©: 71009 The Simpsons Series 2 Fallout Boy Milhouse from 2015. This minifigure© is brand new and factory sealed in its original "mystery bag". 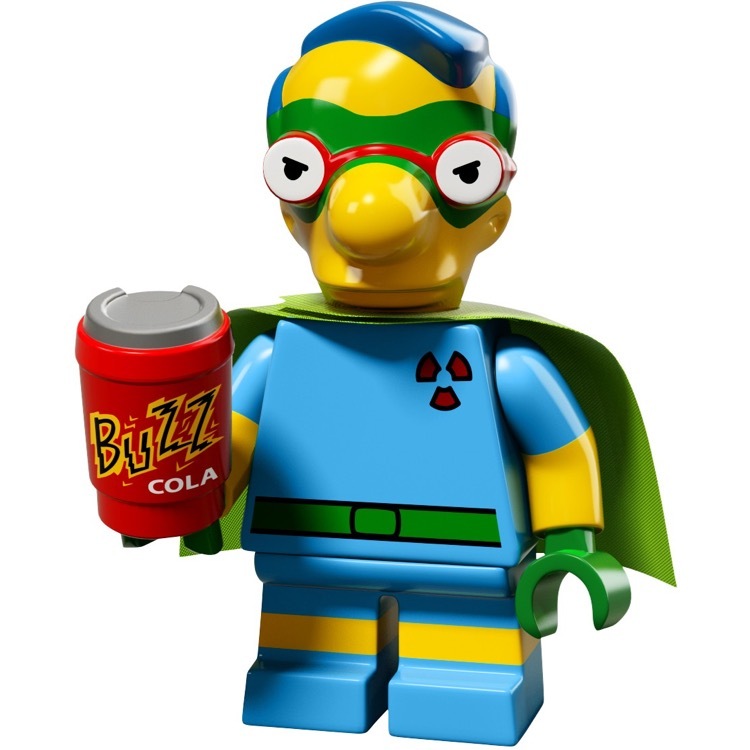 Sidekick to the superhero Radioactive Man, Fallout Boy is much less powerful (and slightly less radioactive) than his mighty mentor. And when it comes to being ineffectual, nobodyâ€™s more effective than Milhouse! Thatâ€™s why heâ€™s the perfect fit to play Fallout Boy in the big-screen movie based on Bart and Milhouseâ€™s favorite comic book. Will fame and fortune change our young hero? Probablyâ€¦but you can bet heâ€™ll be back to normal by next week!